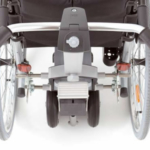 The Viamobil Eco is a push and brake aid for a manual wheelchair. 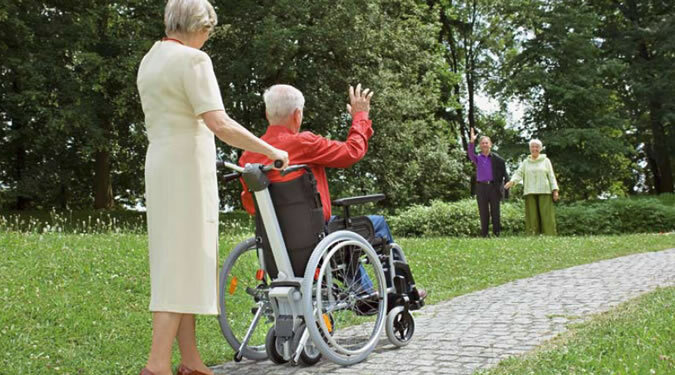 The Viamobil eco has been designed to relieve the strain on the carer and considerably increases the scope and range of activity for user and carer alike. 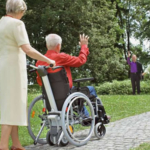 Viamobil eco will cope with upward and downward slopes, steep ramps, sloping driveways and is great for longer journeys as can be used without any effort being required from the carer and has up to a 6 mile range between charges. Viamobil eco is also a safe partner when travelling downhill, with the automatic braking function providing a big advantage in safety and excellent peace of mind. The intelligent spring system of the Viamobil ensures a comfortable and quite ride, automatically compensating for bumps or dips in the road surface, making sure that the wheel always remains safely on the ground. 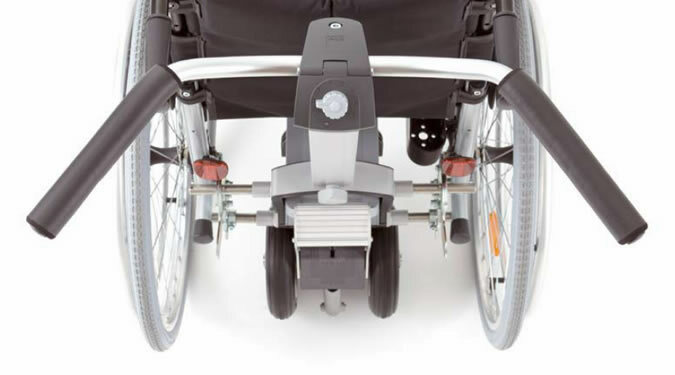 The Viamobil eco can be fitted to most manual wheelchairs. This device is also very easy to remove and transport as it disassembles into three handy parts, without tools, and easily fits into most car boots. If you have any questions regarding the Viamobil Eco V14 or would like to book an appointment to be assessed please do not hesitate to contact us on 0330 0581 008 (Local call rates apply) or FREE PHONE 0800 626 829 or complete the form on this page and we will get back to you.